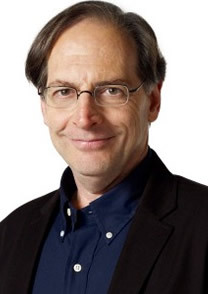 Jerry Beck is an animation historian and cartoon producer. His fifteen books on the subject include The Animated Movie Guide, Looney Tunes: The Ultimate Visual Guide and The 50 Greatest Cartoons. He is a former studio exec with Nickelodeon and Disney, and is currently a consulting producer to Warner Bros., Universal and Disney for their classic animation DVD compilations. Beck has programmed animation retrospectives and animator tributes for the Annecy and Ottawa Animation Festivals, the Museum of Modern Art and the Academy of Motion Picture Arts & Sciences. He has taught animation history at NYU, SVA, the AFI and UCLA, and is currently teaching Animation History at Woodbury University in Burbank, California. Beck started his career in film distribution, working at MGM/UA, Orion Classics, Cannon Films and Expanded Entertainment (Tournee of Animation), before starting his own company, Streamline Pictures in 1989, the first U.S. distributor to import anime features such as Otomo’s Akira and Miyazaki’s Laputa: Castle in the Sky. Beck was instrumental in launching Animation Magazine, and has written for The Hollywood Reporter and Variety. Beck was also the West Coast Bureau Chief for Kidscreen magazine in 2000. He co-founded and co-wrote the blog Cartoon Brew with Amid Amidi from March 2004 through January 2013.